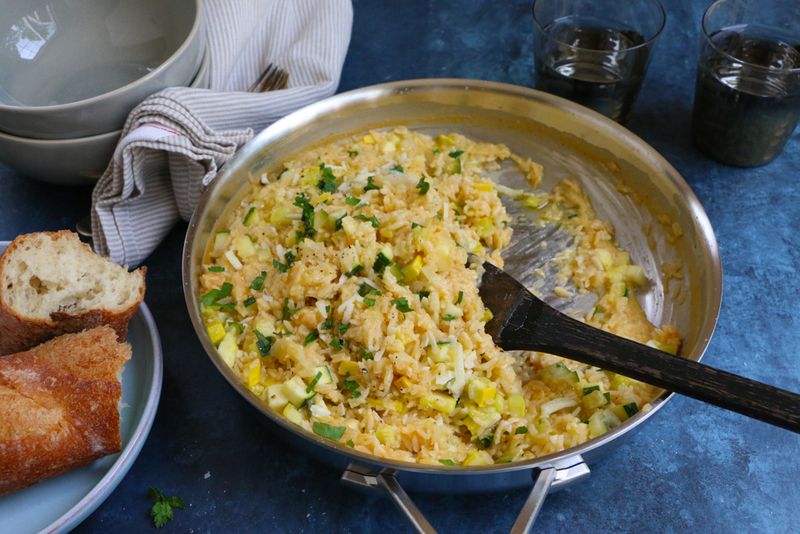 Four Cheese Risotto with delicious in-season zucchini and summer squash! Have this amazing one-pot dinner on the table in under 25 minutes! It’s funny how my kids have changed now that they are on summer break. My children are not morning people so during the school year, it’s hard getting them up and out of bed. Now, they can magically wake up early and seem happy, almost giddy, at the breakfast table. They also love our reduced, less hectic schedule and being able to stay home and play with our cat, Cinnamon. Their favorite thing to do is dress up the cat like literally try and put doll clothes on my poor cat. Cinnamon, on the other hand, wishes they were back in school and probably can’t wait for this summer to end. I made a conscious decision this summer to do less activities and camps and relax a little more. The school year is hectic enough so I also want to try and enjoy the time off as well. Whether it’s going to the park, riding bikes, going to the Children’s Museum or simply watching a movie, I want us to create some memories this summer. This more relaxed approach is also applied to our meals. 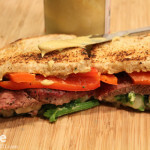 Lunch is easy and simple: sandwiches, salads and wraps. And I certainly want to keep things easier come dinner time. 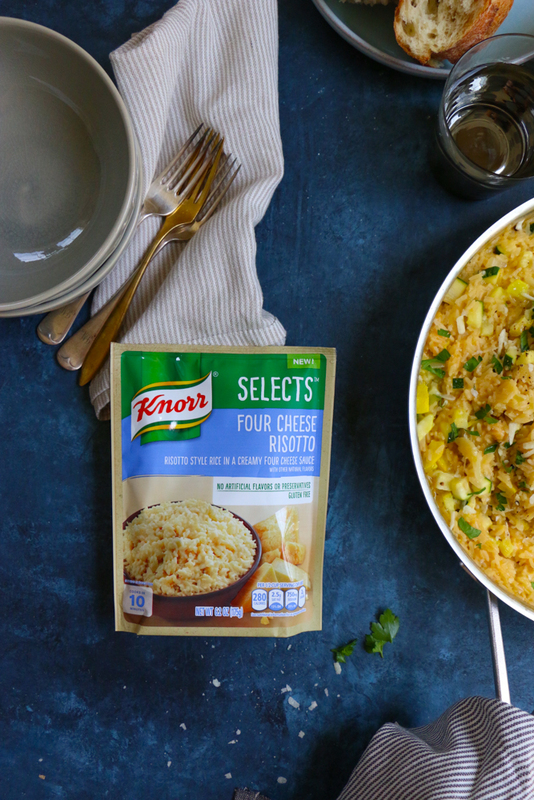 Quick and easy to prepare on the stovetop, Knorr Selects are ready in under 10 minutes! If you know me, you know I love one-pot meals! They are a win-win for everyone! We tried the Four Cheese Risotto, which we loved! So we are super excited to try the other five delicious flavors! I also feel great serving my family Knorr Selects because they are made with no artificial flavors and no artificial preservatives, and are gluten-free. 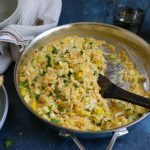 The Four Cheese Risotto is delicious on its own as a flavorful side dish but, I added onions, zucchini and yellow squash to complete this one-pot meal. I’m all about making meals that my family will actually eat. I also love incorporating in-season produce and fresh ingredients! 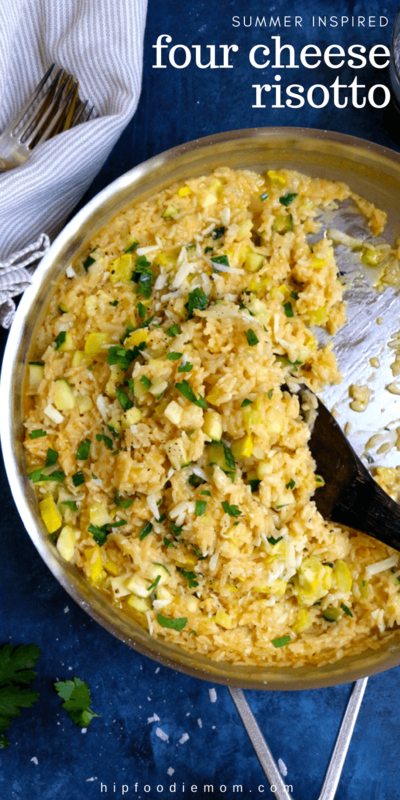 This risotto is definitely something we will be eating year-round and changing up the veggies based on what’s in season! I hope you give this a try! Using a large sauté pan over medium high heat, heat the olive oil and add the garlic and onions and sauté for a few minutes. 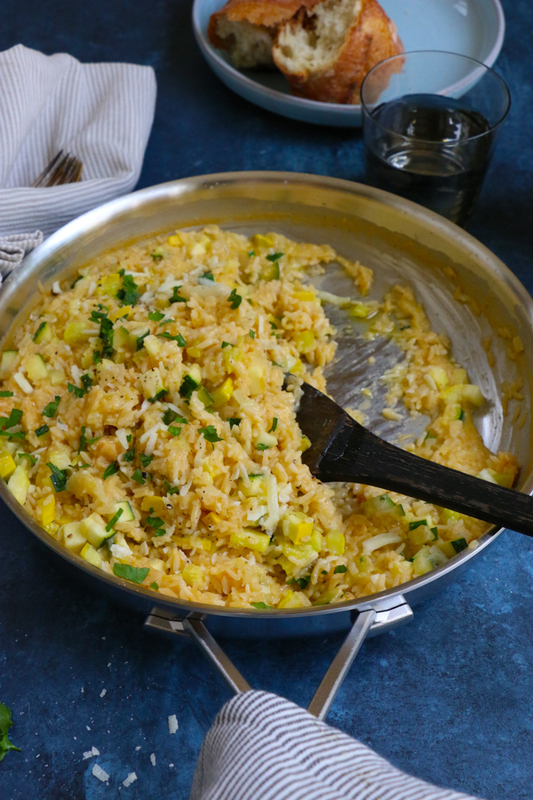 Add the diced zucchini and yellow squash and continue to cook for other 2 to 3 minutes. Season with salt and pepper. 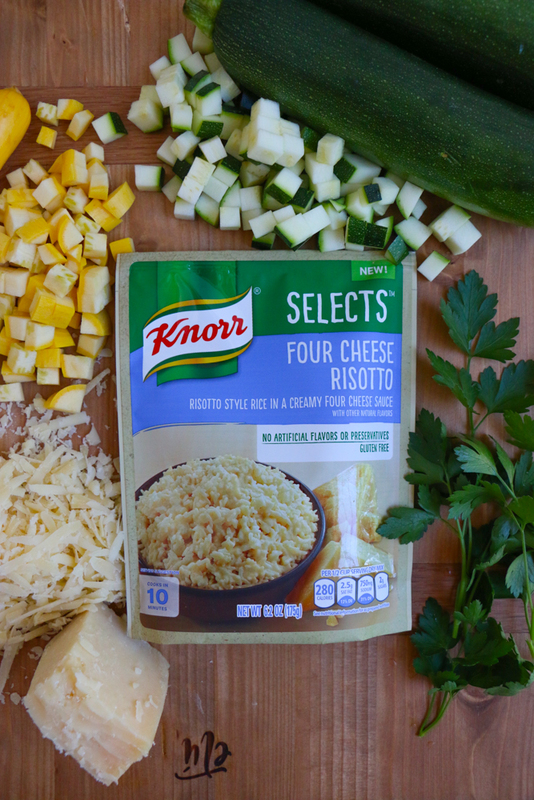 In the same pan, pour in the Knorr Selects Four Cheese Risotto, the chicken stock and the water and stir together. 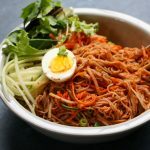 Bring to a boil, then lower the heat to medium and boil, uncovered, for about 10 minutes, while stirring frequently until your rice is tender and the sauce is creamy. Turn off the heat, sprinkle on the freshly grated cheese and mix together one last time. Season with more salt and pepper if desired. Serve and enjoy! Thank you so much, Medha!!! Hope you try it! This is SO genius!!! 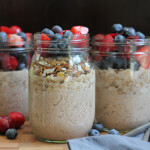 Love how easy and yummy! 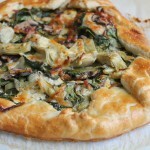 We are big Knorrs fans and I love that you added zucchini and squash to this! 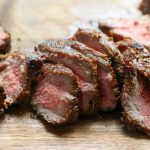 Love easy weeknight dinners like this! I love to keep things easy for summer weeknight dinners too Alice. And Knorr’s products are always a great option! I’m the same as your kids! When I’m rushed in the morning I’m so frazzled and can’t get anywhere on time, when I have nothing planned, I get up early have breakfast and would probably make any schedule if I had any, maybe we should always just pretend we don’t have responsibilities! This looks so good! I love cheesy things. Risotto is one of my all-time favorite dishes. Love this! 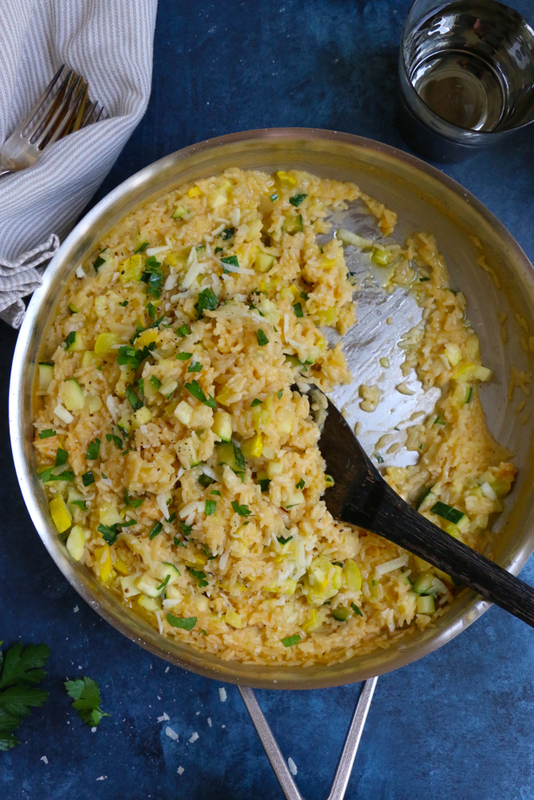 Risotto is one of my favorite dinners and I love your summery take on it! I will try it at breakfast tomorrow, it’s great, how attractive it is, wish it was in my mouth.